As federal courts wrestle with voter ID laws in several states just months before a national election, there is considerably less attention being brought to other constitutional rights that require ID. Proponents of voter ID have argued that retailers require ID to buy liquor, M-rated video games, prescriptions, or even nail polish. But these arguments aren’t really applicable to voter ID, said J. Christian Adams, general counsel for the Public Interest Legal Foundation, and a former Justice Department attorney, who supports voter ID and other election integrity laws. “ID is always required to purchase a firearm.” @ElectionLawCtr says. Here are seven common situations that require an ID. While there is no constitutional right to welfare benefits, the Supreme Court held in the case of Goldberg v. Kelly that welfare recipients are entitled to due process with a hearing before benefits can be terminated. Nevertheless, several states require some type of proof of identity to collect welfare. The states of Massachusetts and Missouri require a photo ID on the electronic benefit cards used for purchases under food stamps or Temporary Assistance for Needy Families expenditures. The EBT cards in Kansas include a photo if a participant agrees, but isn’t required, according to the National Conference of State Legislatures. Laws vary by state and even by municipality on buying a firearm. The District of Columbia, the point of dispute in the landmark Heller Supreme Court decision that determined every American has the right to bear arms, still has very strict gun control laws. It requires residents to register those guns. Gun owners must also obtain a gun license for any shotgun, rifle, or handgun. The District of Columbia city government prohibits the sale of handguns, but allows restricted sales on rifles and shotguns. The application also requires individuals to explain employment dismissal and health history in addition to the background check that all gun buyers go through. It isn’t just the Second Amendment that is subject to ID scrutiny. First Amendment freedoms sometimes require some identification, said Hans von Spakovsky, a senior legal fellow at The Heritage Foundation, and a former Justice Department attorney. 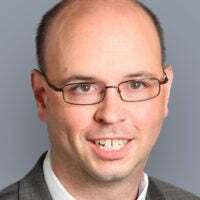 “The First Amendment guarantees the right to petition your government, but anyone who wants to meet with a Department of Justice official has to show a government-issued photo ID to get into the Department of Justice building for the meeting,” von Spakovsky told The Daily Signal. The right to peacefully petition on Capitol Hill—beyond writing or calling a congressional office—generally requires becoming a registered lobbyist. States have various requirements for registered lobbyists as well. Further, many municipalities require permits to hold protests or rallies in a public space under certain circumstances. This process varies based on the city, but requires some paperwork by the organizers. Official ID for obtaining a marriage license is nearly universal across states, said von Spakovsky. He noted that under the 1967 Loving v. Virginia ruling by the Supreme Court, marriage is a fundamental right. And, New York City’s website states, “You and your prospective spouse must have one form of proper identification in order to apply for a Marriage License.” The options include a driver’s license, active military ID card, passport, or permanent resident card. While the right to board an airplane isn’t spelled out in the Constitution, von Spakovsky said the right to travel could be broadly considered a basic public accommodation and a freedom of movement issue, even though the Transportation Security Administration requires photo ID for everyone boarding a plane. “The 1960s civil rights movement was in part about the fundamental right to travel on trains and public buses,” von Spakovsky said. Opponents of voter ID laws contend that it’s difficult for minorities to obtain ID for voting. This could reasonably extend to public accommodations, von Spakovsky said. The Civil Rights Act of 1964 prohibits businesses such as restaurants and hotels from denying service on the grounds of race, color, religion, or national origin. “I can’t remember when I checked into a hotel and they didn’t ask me for photo ID,” von Spakovsky said. Many local governments require hotels and motels to collect information from the ID of lodgers and maintain it to be available for police review. 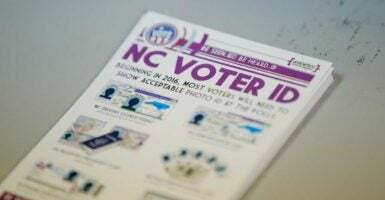 The American Civil Liberties Union, which is involved in current litigation against voter ID laws in states such as North Carolina, Kansas, and Texas, told The Daily Signal Wednesday that no one is available to comment regarding these other civil liberties that require some type of ID. This article has been modified since publication.